A friendly gesture can be heartwarming. That must be very cozy! WHAT THE FOX IS HAPPENING RIGHT NOW?!?!??! But Fox won't you get cold without your tail? 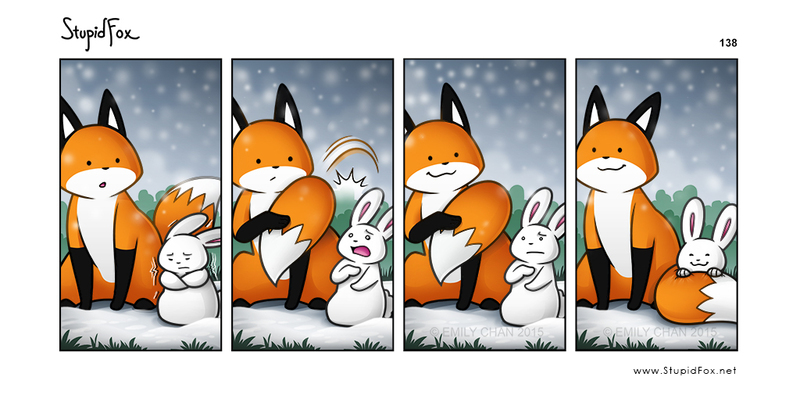 I don't think Stupidfox actually pulled off his tail. He merely adjusted it. Fox: Bunny are you cold?